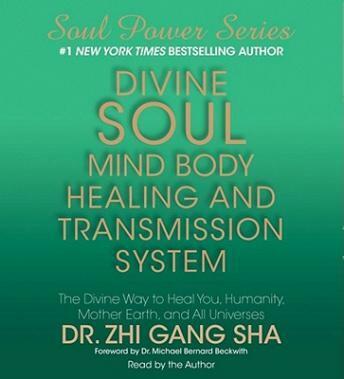 The fifth title in Dr. Sha’s #1 New York Times bestselling Soul Power Series, the Divine Soul Mind Body Healing and Transmission System , gives listeners the soul secrets, wisdom, knowledge, and practices of the divine soul healing system. Divine Soul Mind Body Healing and Transmission System provides remarkable and uplifting secrets, wisdom, knowledge, and practices of this divine soul healing system, teaching listeners how to remove soul, mind, and body blockages, receive Divine Soul Mind Body Transplants, and practice with Divine Soul Mind Body Transplants. In addition, Dr. Sha shares deep secrets of traditional Chinese medicine and ancient philosophies and offers step-by-step exercise and easy tips for healing and rejuvenation. This audiobook offers the most powerful soul healing currently available at this time, it is truly a breakthrough divine gift and treasure for humanity.